With the release of Nintendo's 3DS, curiosity is running high about the technology that makes 3D gaming possible–without the need for any glasses. I don't know if the announcement of this device managed to pique your curiosity about the scientific aspect behind it, but mine certainly was. The development of the 3D gaming has actually been in the works for the past few decades or so. Nintendo was actually one of the first video game console developers to integrate 3D technology into its gaming devices such as the Virtual Boy and GameCube. However, these consoles were only met with limited success, partly because the 3D technology behind these devices left a lot to be desired. 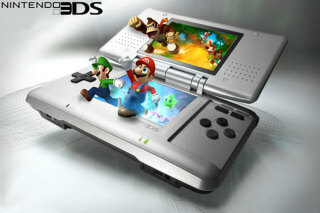 Nintendo persevered in integrating 3D into their projects until the handheld Nintendo 3DS was announced to the world. So how did Nintendo make 3D gaming into a possibility? What is the science behind the technology that they used to put together and develop the 3DS? The answer lies in autostereoscopy. Autostereoscopy is a method used to display images that are stereoscopic in nature without requiring the use of any special headgear or lenses on the part of the viewer. In short, it's a method that can allow a person to perceive images in three dimensions without having to wear any 3D glasses. The kind of 3D that has been around for years is actually the stereoscopic kind. This is "traditional" 3D wherein viewers or players have to put on 3D glasses in order to be able to experience the three dimensional effects. This is what we encounter when we go watch a movie or use glasses to view still images in three dimensions. Autostereoscopy has a leg up over this because it allows you to experience 3D without requiring anything else but your eyes and your fully-functioning brain. This means that you can delve inside the three-dimensional world anytime, anywhere without having to fidget around for glasses or headgear that can sometimes decrease the whole 3D movie-watching/gaming/viewing experience. 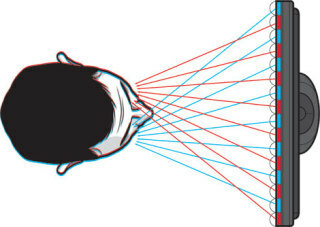 Now that we've got the basic definitions out of the way, it's to consider some concepts about the human vision before finding out how autostereoscopy works. The human's stereo vision relies on primary (or physiological) and secondary (or psychological) depth cues to process and interpret three-dimensional structures and forms from images that are received in only two dimensions by the retina. Physiological depth cues depend on the physical shape of the eyes and take into consideration the changes that occur in the lens shape, the convergence from different points of view from the eyes, and the retinal disparity that may occur because the eyes are in different positions. Psychological depth cues are those that are perceived within the mind to explain depth perception as can be viewed in images, photos, and paintings. These include linear perspective, shadow, shading, relative brightness, and relative size and may also depend on the height of the objects above the viewer's line of sight. Together, these allow humans to perceive images and the surroundings in three visually stimulating dimensions. So how is autostereoscopy applied in 3D gaming? The method can be carried out using the following: parallax barriers, lenticular, volumetric, electro-holographic, and light field displays. Let's consider a more specific case and take a closer look at what the Nintendo 3DS uses: the parallax barrier LCD. These displays have actually been around for years but the 3D effect that you can perceive from it is highly dependent on the angle of your line of sight towards the screen. This can be hard to control for large television screen displays but for the smaller handheld Nintendo 3DS, the angles aren't a problem. These parallax barriers utilize a "switching LCD" that has the capability to display both 2D and 3D imaging. 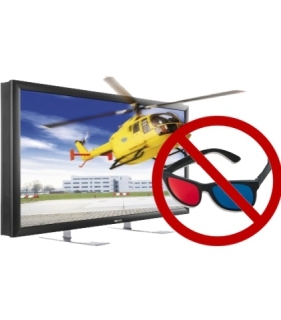 The images are perceived as 2D when the parallax barrier is turned off, but these same images quickly come to life in 3D when the switching LCD is switched on. This is because the switch causes different patterns of light to emanate from the screen by controlling how the light leaves the display itself. Nintendo 3DS games that are intended for 3D gameplay come with augmented reality (AR) cards which should be placed on a flat surface where the camera of the video game console should focus on. Once the console recognizes the AR card, the game initiates and a scenario that is based on the real environment will be created and integrated into the gameplay. 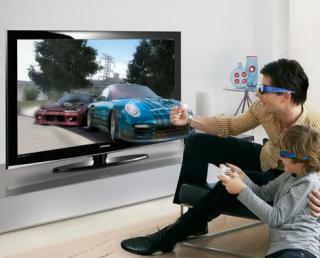 Other video game companies are also jumping onto the 3D video gaming bandwagon. Sony, for one, has announced that they are also looking into this technology to develop their own augmented reality games for the newest generation of the PlayStation Portable gaming consoles. What do you think about 3D gaming? Is it a must or a bust? Overall good post but AR should have been left out. It has nothing in common with the rest. Also what is electro holographic? I'm pretty sure it is not "real" technology like the others in the list.